British Airways' Abigail Comber tells Marketing what it means for the airline to put its entire marketing activity through one agency, why its motto remains the "heartbeat" of the brand, and where it plans to go next. BA this week created a marketing "first" by consolidating the brand's entire advertising activity, from TV to CRM, into one agency, BBH. While it is unusual for a brand to place its entire marketing repertoire into the hands of a single agency, head of marketing Abigail Comber is confident about what this commitment will do for the brand. It's about making the most of our communications, hitting the right customers at the right touchpoints with the right message. "The move to consolidating all of our communications into one agency is about making the most of our communications, hitting the right customers at the right touchpoints with the right message and having it constistent and joined up," she says. The brand will be making extensive use of its "KnowMe" program in its engagement work, which organises customer data to help create a consistent experience for them across the brand. BBH has even set up a new CRM division to be able to carry out the work. "It means we can give the relevant message to our customers when they're searching for a holiday, or when they're engaging with us through the Executive Club. It's about understanding what their flying habits are, but when they're on board recognising where they're sat and engaging with them on a meaningful basis," Comber explains. However, according to Comber, the new agency model does not mean a change to BA's core marketing strategy. The airline's motto "To fly. To serve," famously stitched into each member of staff's uniform, remains the "heartbeat" of the organisation, which plays into "making sure the customer knows they are at the heart of all that investment," referring to the £5bn BA has spent on updating its aircraft, lounges, food and digital products. The carrier is currently receiving new aircraft every fortnight, and the launch of the highly anticipated Dreamliner last September into its fleet did not go unnoticed. The brand also launched a one-off digital campaign, #racetheplane, which saw people on Twitter racing the new aircraft in real-time on its inaugral flight from London to Toronto. 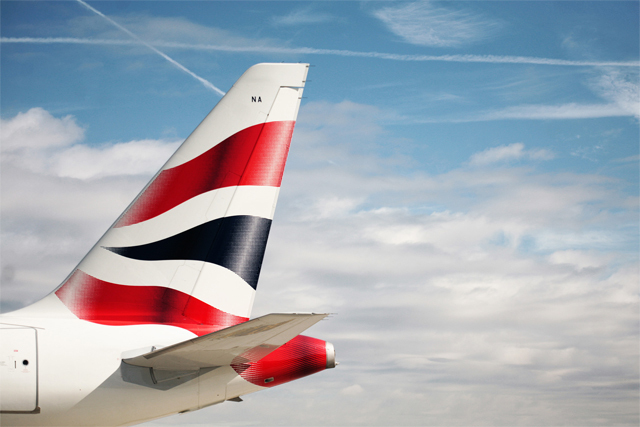 "Twitter nominated us a one of their best social ideas last year for #racetheplane," Comber says, which, combined with BA topping the consumer Superbrands list for the first time ever means that "we've had a pretty good year". While Comber would not say when BA would repeat this kind of one-off digital engagement work, it remains very much part of BA's strategy: "You're not about to see a completely new campaign from us, you will see great things as they come out – the ones we think are the most relevant at the time." Comber used the example of BA's #homeadvantage Olympic digital work, which allowed users to steer one of the brand's aircraft down their street through a Facebook app, as another way the brand managed to engage with consumers in an interesting way. "That was about being relevant to a younger audience and engaging people with the brand as opposed to just telling them who we were," she said. That was about being relevant to a younger audience and engaging people with the brand as opposed to just telling them who we were. The new agency model does, however, mean that BA will be talking more consistently to its consumers and telling brands stories through a mix of communcations channels, alongside the traditional "seasonal spikes" seen in travel advertising. TV, Comber says, remains a channel that will get "a really big hit on volume", but all activity will be "more joined up, and not just be two great big fireworks in January and September". The investment behind the BA Holidays brand earlier this year was about "ensuring people see us as a brand that can give you a holiday as opposed to just a flight". Comber wants BA to be "front of mind" for consumers when searching for holiday options as a brand that can also provide "everything from £39 fares to Europe out of Gatwick, all the way through to luxury holidays". People still think of BA as an airline first and foremost, and now Comber wants to grow awareness around the brand's leisure offering: "We've talked a lot about our investment in new aircraft, our service and cabin crew, and what we want people to realise is they can get a great deal on holidays." All this, combined with continuing to promote the airline's short haul network, its continual influx of new planes and a new agency model to work with, means Comber has built a strong base with which to take the airline to new heights.